When it’s time to repair or replace your roof, it’s essential to stay away from simple roofing mistakes. Your roof is one of the most important components of your home. Roof damage can prove catastrophic. When it’s time to repair or replace your roof, it’s essential to stay away from simple roofing mistakes. We’ll cover those mistakes in this week’s blog. If you find you’ve committed one or more of these mistakes without knowing it, all is not lost! 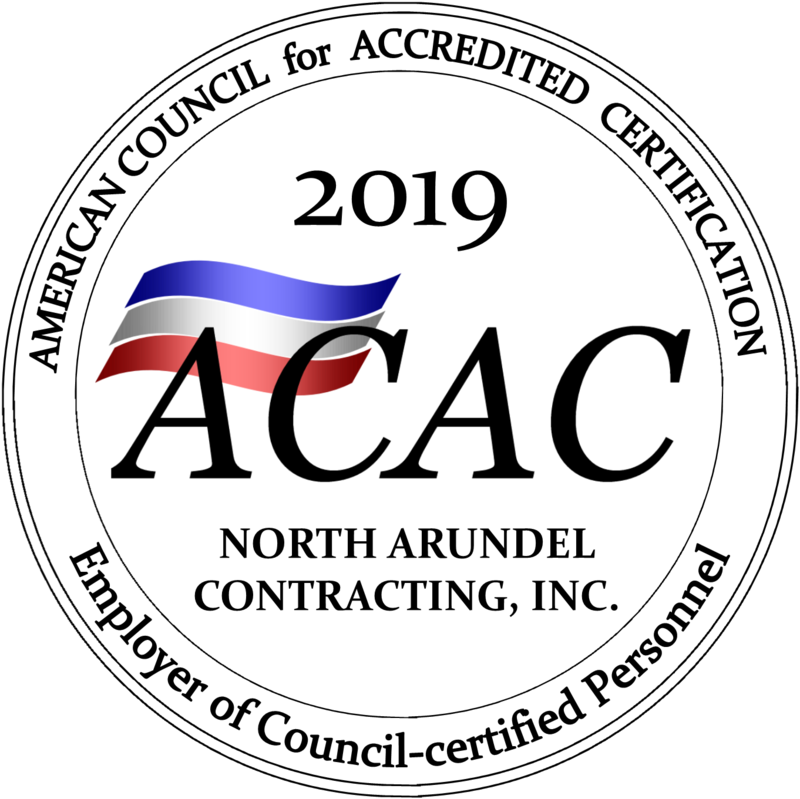 You can still get in touch with North Arundel Contracting! Safety is always important. While it might sound like common sense to remedy any dangerous situation as soon as possible, you’d be surprised how many homeowners are guilty of deprioritizing safety. Your safety and the safety of your family should always come first. If a tree branch has fallen on your roof, get it removed. A roof collapsing will be much more dangerous and costly than removing a fallen tree branch. Along with deprioritizing safety, another common roofing mistake is simply putting it off. If you wait to fix roofing problems, chances are they will only get worse. Catching leaking water in a bucket will protect your carpets and your hardwood flooring, true, but it won’t protect other things in your home. For instance, the water damage will still accumulate on your roof and its underlayment. Whenever problems first appear, call North Arundel Contracting right away! Speaking of North Arundel Contracting, one of the biggest roofing mistakes you could make is ignoring contact with your contractor. Roofing emergencies of any kind are beyond the skill of even the best do-it-yourself home layperson. Patching up broken roof tiles might seem like a quick and easy fix, but the source of a leak on the roof could be from something else entirely. You won’t know for sure unless you contact your contractor. Any time you find roof damage, you should document it extensively. This way, you have the best chance of persuading your insurance company to maximize coverage. We can help you with insurance restoration, as well. Avoid Making Roofing Mistakes with North Arundel Contracting! This entry was posted on Friday, May 12th, 2017 at 9:44 am. Both comments and pings are currently closed.